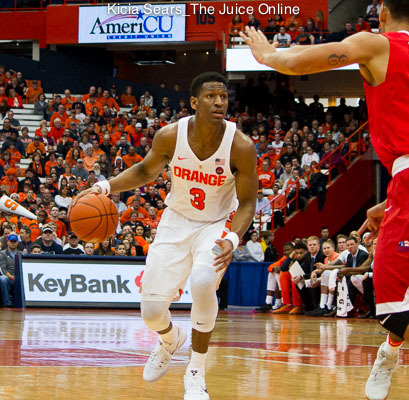 HomeBasketballCould energy, effort really be difference in Syracuse’s last two games? 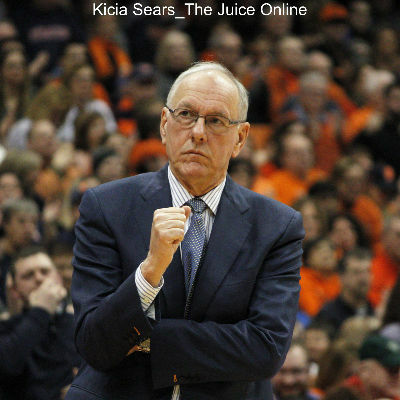 Could energy, effort really be difference in Syracuse’s last two games? In Syracuse, winter hits hard. It often begins before Halloween and keeps on coming until close to Mother’s Day. The only thing that keeps this town from collapsing in on itself in Vitamin-D-deficient rage is Orange basketball. That’s why a year like this, with so much potential seemingly going wasted can be so frustrating. What makes it worse is that no one can really explain the slump. Fans and the media pointed the finger in every direction: at the zone defense, at the point guards, at Syracuse coach Jim Boeheim, at player positions, even at the NCAA sanctions. Nobody could figure out why this hyped Syracuse team just couldn’t live up to even the lowest expectations. The answer, thus far, is so simple it’s infuriating: Effort. Simple trying. After SU’s win against Miami—its first against a high-major opponent this season—Tyus Battle, Andrew White, and Tyler Lydon all cited “energy” as the key to their win. After Saturday’s win over Pittsburgh, players pointed to “active” defense and playing with “aggression” and “energy” again. Boeheim mentioned his team’s “active” play as an important factor in the improvement over the last few games. Whatever you call it, it boils down to getting out on the floor and playing spirited basketball. » Related: Syracuse basketball beat a good team, now what? Explaining the sudden surge in energy—or the early lack of it—is difficult. Some point to team cohesion, but that experience all seemed to fall into place quickly once Tyler Roberson smacked away a few shots and the guards were raining down 3s. Talent certainly isn’t the problem. Against Pitt, John Gillon showed flashes of greatness, White shot the lights out of the dome, Battle racked up 15 points, Lydon was electric all over the floor, and Tyler Roberson played like a man possessed. The zone is beginning to stymie opponents, especially at the front and in the corners. Players are rotating, closing in, and making crisper slides. When asked what changed in the defense, no one said that a position suddenly clicked for them or that they tried to watch over their shoulder more or stand at a different angle. Perhaps the microscopic rotation is helping, as well. Boeheim and Gillon both mentioned that knowing you won’t get taken out of the game for a mistake makes players more confident. 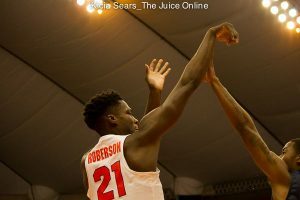 Confidence on offense translates to shots taken—and often made, that’s just math—which in turn has given SU more energy on defense. This has to be a factor; it can’t just be that some nights the players come out hungry and angry and get after it and some nights they come out tired and beaten down. The mental side of the team can’t be this powerful, or we’re still in for some truly horrifying losses and shaky wins. Whatever is giving this team a shot in the arm, a kick in the rear, or lighting a fire under them needs to continue, but putting all hope in such a fragile basket is scary. Scarier than Syracuse in February.